In geveb publishes pedagogical materials along with reflections from teachers. 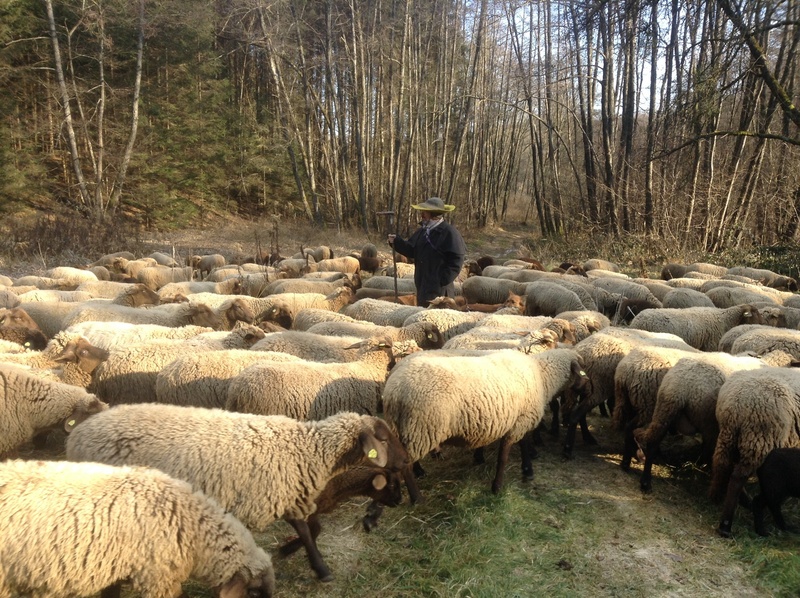 This syllabus was generously shared with In geveb by Anna Elena Torres. We want you to use it in whatever way best aids your teaching. If you wish to alter or add to it, please make note of this in your new worksheet, and please keep the original attribution. You may send questions or comments to the creator through us: [email protected] Download a PDF here. Benjamin Harshav’s The Meaning of Yiddish (Stanford University Press, 1999), p. 50. As a field, Yiddish Studies often emphasizes the internationalism of its subject, focusing on the volatile trajectories of language and culture across borders. Rather than these narratives of travel and cultural mobility, I became interested in examining the particularities of life and language within Yiddish borderlands, the peripheral spaces where the idea of the state inscribes itself most viscerally. You, blond Alladino, sing. 3 3Translation by Asya Vaisman Schulman, published in Words Without Borders, September 2016. The original was published in Unzer bukh IV (Sept-Oct. 1929), p4. Republished in Yidishtaytshn (Warsaw: H. Bzshoza, 1937). “Zing Ladino” is a rich text for introducing the concepts of diasporic language, Jewish utopianism, reciprocal word borrowings, and komponentn-visikeyt (component consciousness, the Yiddish speaker’s awareness of the provenance of the language’s varied elements). We returned to “Zing Ladino” later in the semester when we read Monique R. Balbuena’s article “Dibaxu: A Comparative Analysis of Clarisse Nicoïdski’s and Juan Gelman’s Bilingual Poetry.” Gelman, an Ashkenazi Argentinian poet, wrote the bilingual book Dibaxu in both Spanish and Ladino, the Sephardic exilic language derived from Old Spanish. Balbuena describes the poet’s self-Sephardization as a political process: “Gelman proceeds backwards in an exploration of the Spanish language and arrives at Ladino as a way of rejecting a limited and oppressive national identity—that of an Argentina controlled by a military dictatorship. To write his exile and express his deterritorialized, decentered identity, Gelman instead writes in a minor and diasporic language, one of a culture created without a State.” Gelman’s poetry thus thematizes Max Weinreich’s insight on the presence and retention of Jewish words into non-Jewish languages: “Surely, we may draw conclusions from the facts that Jewish words penetrated into the language of the non-Jewish population on the Iberian Peninsula. […] Most interesting is desmazalado (unlucky), which has found its way even into Cervantes. To be sure, Cervantes was born fifty-odd years after the Expulsion, but Jews must have left the word; only people could be expelled, not their impact.” 4 4 Max Weinreich, History of the Yiddish Language (Yale University Press, 2008), p.146. Their words persist after the desmazalados’ exile. Weinreich notes that “similar formations are found among so many nations that have Jews in their midst: kakomazalos (ill-starred) in Greek, Schlamassel (mess) in German, ślamazarny (negligent, slovenly) in Polish.” Reading Glatshteyn, Gelman, and Weinreich together illuminates the kinship between their language politics and linguistic melancholy. 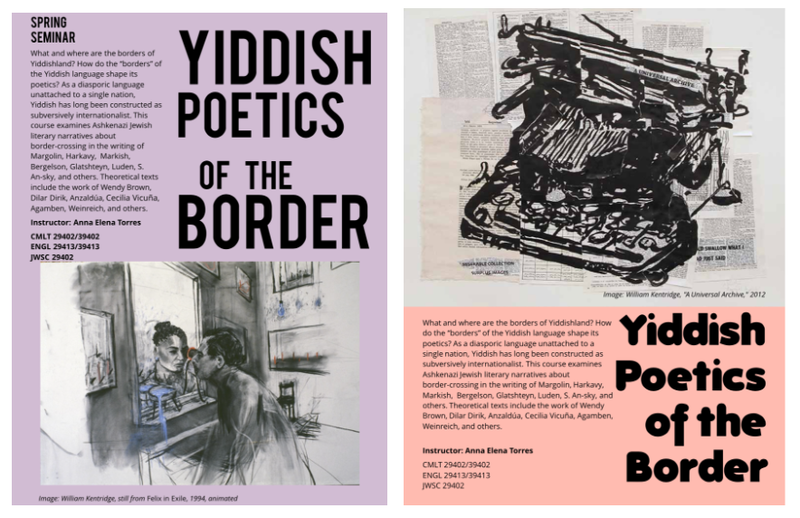 For the first few weeks of the quarter, we studied Yiddish poetry alongside a series of theoretical and phenomenological models of the border, examining where theory and poetry converge and depart. To what extent can a theory “move,” speaking to experiences beyond the context of the author? 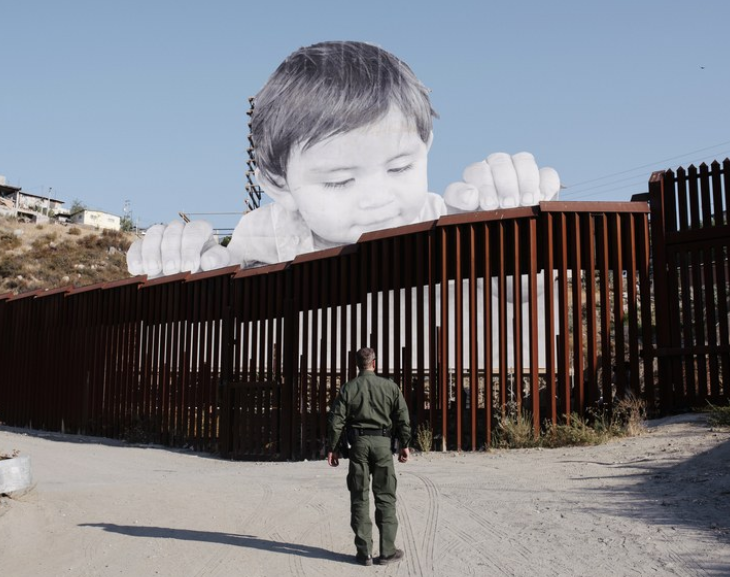 Can Gloria Anzaldúa’s description of the borderlands as a “third country […] where the Third World grates against the first and bleeds” speak to the experience of living in the Pale of Settlement? 5 5 Gloria Anzaldúa, Borderlands/ La Frontera: The New Mestiza (1999), p. 25. 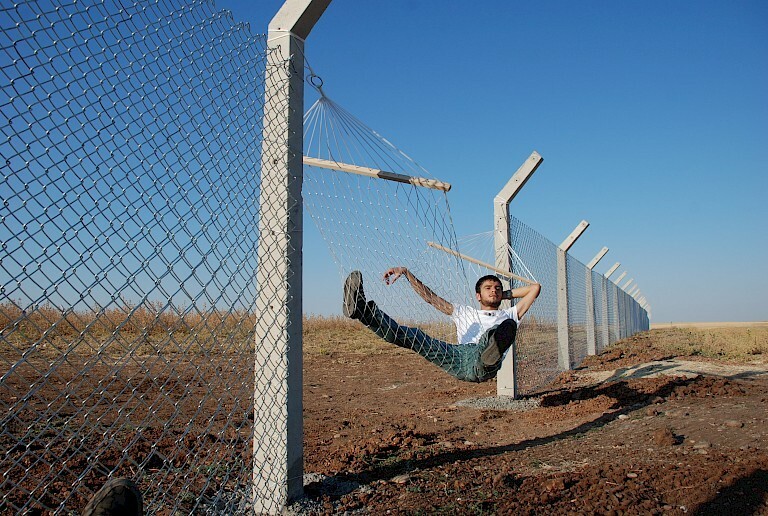 Does the border itself generate the nation, as the philosopher Thomas Nail proposes in his study of kinopolitics (the politics of movement)? 6 6 For an accessible introduction to his work, see this interview with Thomas Nail. Can these secular models speak to aspects of specifically Jewish borders, such as the eruv? 7 7 For an introduction to the concept of the eruv, see this article from My Jewish Learning. One of the more productive and provocative juxtapositions was the unit on comparative language utopianism. These readings included B. Rivkin’s editorial “Quasi-Territorialism in Yiddish Literature” (1938), Rachel Katznelson’s essay “Language Insomnia” (1918), and Dalit Assouline’s new book Contact and Ideology in a Multilingual Community: Yiddish and Hebrew Among the Ultra-Orthodox (De Gruyter, 2017). Despite their radically disparate territorial politics, each writer projects an ideology of Yiddish into the future, from Rivkin’s dreams of a literary “celestial territory” to Assouline’s Haredi informants, who scrape their speech of Modern Hebrew vocabulary while living in Israeli society. Rivkin’s visions of “Yiddish literature as a quasi-territory in the air” charmed the students, who viewed him as a prescient multiculturalist. Katznelson’s article is as much a psychological self-portrait as language manifesto. She describes Yiddish in the mystical terms of a gilgul fun a nign, the reincarnation of a melody: “Not only the exceptional days in the life of the nation, also everyday life—especially that—their reverberations go in the language forever […]. Every language has its own magic circle, and he who enters it surrenders to the influence that breathes on him from every word. […] For language is not a collection of expressions but the ephemeral past leaving its soul in the language.” 8 8 Rachel Katznelson, “Language Insomnia,” trans. Barbara Harshav in Language in Time of Revolution, ed. Benjamin Harshav (University of California Press, 1993), p. 187. After considering these initial theories, poems, and manifestos, we shifted to Yiddish prose representations of geopolitical borderlands: Dovid Bergelson’s novel Judgment (1929), in a new translation by Sasha Senderovich and Harriet Murav, (reviewed here in In geveb); Joseph Opatoshu’s novella Romance of a Horse Thief (1912); and two short stories by Fradel Shtok, translated by Allison Schachter and Jordan Finkin. Set in a town by the Polish-Ukrainian border, Judgment renders that border constantly felt but never seen; when a character approaches the border, she disappears from the view of the narrator. Bergelson’s spatial metaphors are as grotesque as his descriptions of characters’ aging and ailing bodies. He compares the border to a sack with mice nibbling at it, and later declares, “The border: a cavernous hole.” One student framed Judgment as a refusal of the Great Russian Novel, where the narrative is driven by redemption, change and cure; Bergelson’s grotesque characters and episodic structure resist any such triumphal arc. Considering Bergelson’s taste for satirizing authority figures, students were shocked that critics ever considered it to be a gung-ho Soviet revolutionary novel. We also weighed the significance of Bergelson’s having written this novel of the Revolution at a remove, from Berlin: as J. Roland Matory notes, “The Diaspora invents the homeland.” Perhaps similarly, writing at a distance from a European center allowed Bergelson to imagine revolution at the periphery. Bergelson, Opatoshu, and Shtok each carefully attend to how borderlands shape the gender and embodiment of their inhabitants. Yiddish border literature includes many tales of the demimonde, a marginal world populated with smugglers and lady hustlers. Shtok’s stories “White Furs” and “An Aristocratic Bride” follow the fancies of women and girls whose desires can only be satisfied across the border, yearning for a fancy fur, a special meal, a more intellectual husband. Opatoshu and Bergelson’s novels, too, are driven by the material appetites of women living in the borderlands who long for contraband goods and the love of men who can procure them. Yet these border spaces also grant female characters license to roam, wheeling and dealing, upending the gender conventions of more central Jewish spaces. The borderland can be an underworld, reshaping identity and desire. We next considered Isaac Berliner’s City of Palaces (1936), a collection of poems portraying the people and landscapes of Mexico City. The book is illustrated with black line drawings by Diego Rivera, who moved in radical Jewish circles of 1930s Mexico City with his partner Frida Kahlo. Kahlo herself claimed Jewish ancestry and attributed her famous eyebrows to her European side in the 1936 portrait My Grandparents, My Parents, and I (Family Tree), which once hung in the Jewish Museum in New York City.9 We ended with a discussion of Berliner’s glossary of Spanish terms at the end of City of Palaces, considering whether this self-translation was a form of macaronic text. Other discussion prompts included: How does Kahlo represent yikhes (lineage/inheritance)? How does Berliner represent life in Spanish through Yiddish? 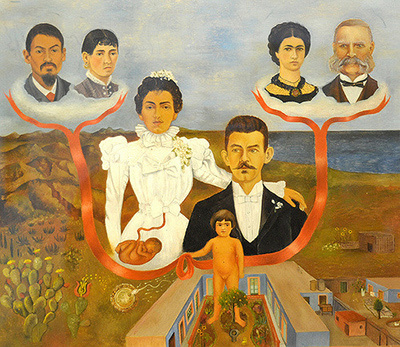 Frida Kahlo, My Grandparents, My Parents, and I (Family Tree), 1936. The Museum of Modern Art, Oil and tempera on zinc. The opening lines wittily reference Glatshteyn’s real-life identity as a law school dropout. His salute to maritime universalism is in fact bound within Yiddish, as revealed in the strangers’ greetings to each other Gut morgn, gut yor! The second volume, Ven yash iz geforn, begins after the death of his mother; on this intimate loss, the central emotional event of his narrative, Glatshteyn is silent. The second book unfolds stationarily in a sanatorium, where Glatshteyn examines the kinships springing up between patients. As the book progresses, any sense of a coherent self dissolves; instead, Glatshteyn applies the Introspectivist credo of kaleidoscopic personal identity to others, their voices and follies refracted through the modernist lens, dissipating the singular self into grief and multiplicity. 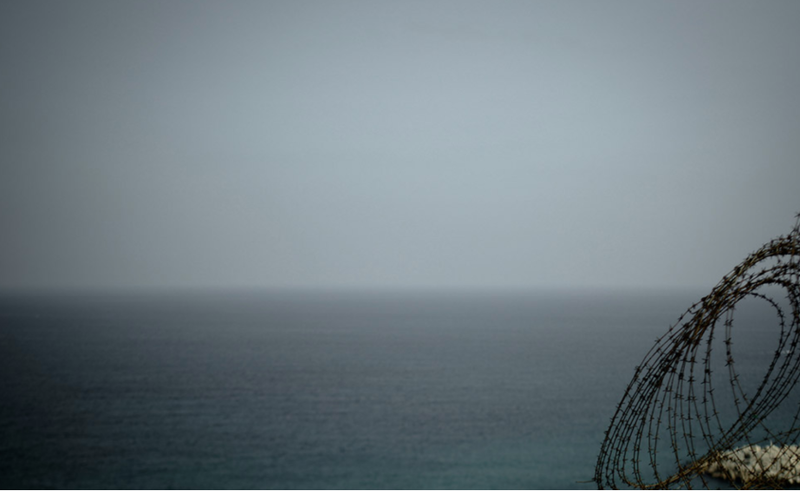 The book’s split between travel narrative and static landscape makes Glatstein Chronicles a generative case study of the tropes of border literature. 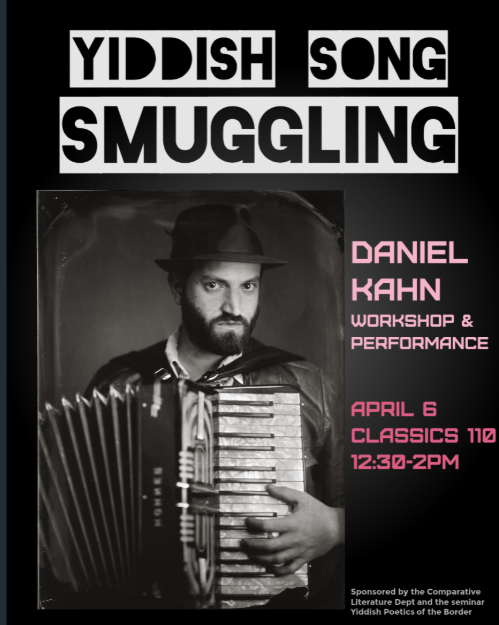 The poster I made for Daniel Kahn’s workshop. The seminar incorporated three special events: Cecilia Viçuna’s campus performance, 9 9http://moussemagazine.it/cecilia-vicuna-palabrarmas-at-neubauer-collegium-for-culture-and-society-at-the-university-of-chicago-2018/ Daniel Kahn’s campus workshop “Yiddish Song Smuggling,” and a screening of Irish filmmaker Tadhg O’Sullivan’s film essay The Great Wall (2015). 10 10http://tadhgosullivan.com/; For an interview with O’Sullivan: https://soundcloud.com/soundsdoable/culture-file-t… Organized specially for our seminar, Kahn’s workshop drew from a repertoire of Yiddish songs on border-crossing and border-dwelling. He spoke on Yiddish musical history between songs, naming the anarchist poet Dovid Edelshtat as a primary inspiration for his own songwriting. The final arts presentation, O’Sullivan’s film screening, similarly fused Jewish literary inspiration with a new radical politics. The Great Wall brings the text of Kafka’s short story “The Great Wall of China” (1931) into dynamic relation with O’Sullivan’s epic cinematography of EU borderlands, exploring the resonances between Kafka’s tale and contemporary migrant experience.⁠ O’Sullivan spoke with the class about the ethics of documentary film, how traveling through Israeli/Palestinian borderlands informed his study of European identity, and his choice to have Kafka’s tale read in the voice of a woman—the only person whose voice we hear in the film. Still from Tadhg O’Sullivan’s film The Great Wall (2015). For a discussion of the moment this shot was filmed at the Spanish-Moroccan fortified border fence, listen here. We ended the seminar with two authors who did not write in Yiddish, but were intimate with it: Clarice Lispector, the iconic Brazilian novelist whose first language was Yiddish, and Bruno Schulz, the Polish prose writer and painter whose work was profoundly informed by his friend, Yiddish poet Dvoyre Fogel. Schulz and Lispector are individually more famous than the entire syllabus’ of Yiddish writers combined, and both have, incidentally, inspired much research on the impressions of Kabbalah and Spinoza upon their work. Lispector’s unusual Portuguese is today considered iconically Brazilian, but I framed her work as part of the afterlife of Yiddish borderlands literature, much as Yiddish informed Romanian Dada and other movements. We read Lispector’s story “Brasilia” in Katrina Dodson’s translation. 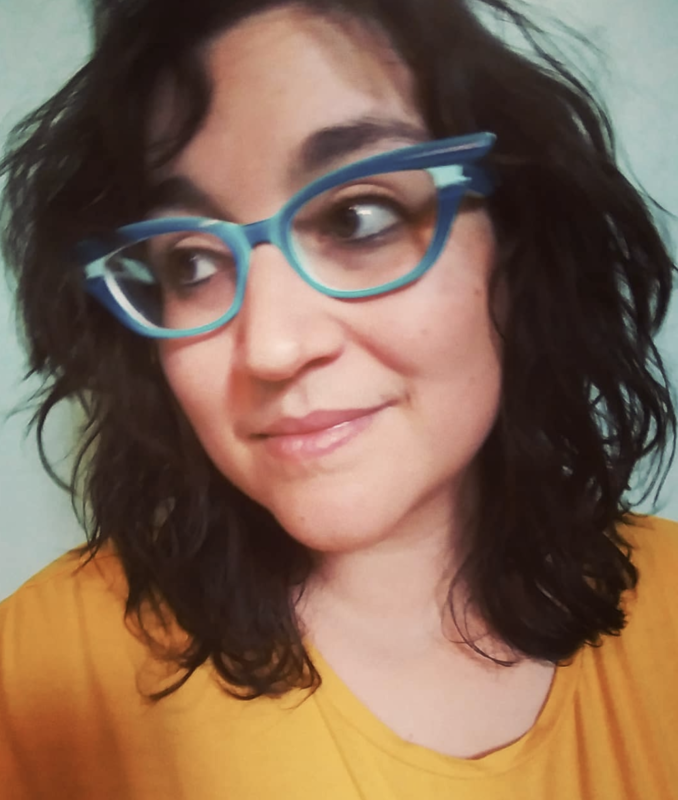 11 11 See Dodson’s essay about her translation, “Understanding is the Proof of Error,” in The Believer, Issue 119, July 11, 2018. Had we time, I would have added China Miéville’s novel The City and the City, a sci fi riff on Bruno Schulz’s mysterious cities and which is also profoundly informed by Yiddish novelist Chaim Grade. Thus Yiddish border literature has found a long afterlife through Schulz, Lispector, and Miéville’s imaginations. Future variations of this seminar could approach the subject from historical or linguistic standpoints. A history course on Yiddish borderlands might, for example, foreground studies of Jewish resistance in the Polish borderlands during World War II; a linguistics course could make close study of language atlases and emerging research on dialectology. The syllabus could also be adapted to center intra-Jewish, rather than non-Jewish, comparative models. I added optional readings on related topics in non-Ashkenazi contexts, including Sarah Abrevaya Stein’s phenomenal work on Sephardic spectrums of legal identity in the Ottoman Empire (Extraterritorial Dreams: European Citizenship, Sephardi Jews, and the Ottoman Twentieth Century), Sarah Phillips Casteel’s book Calypso Jews: Jewishness in the Caribbean Literary Imagination, and Ella Shohat’s article The Invention of Judeo-Arabic: Nation, Partition, and the Linguistic Imaginary. I had also hoped to include more on contemporary Israeli/Palestinian language politics, but was unable to get the rights to screen the short film A-Maiseh (2004), which addresses contemporary language politics and immigration.14 Instead we watched the opening of Beit Avi (2008) and performed close readings of its representation of Yiddish in the Yishuv.15 Each week’s material felt like it could be expanded into a full ten-week seminar, organized thematically or geographically. I am curious to hear from others about how they teach Yiddish literature in a time of profound global border violence, when the connections between our subject matter and our age feel at once heavily determined and underexplored. 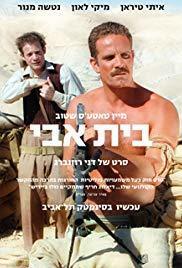 Movie Poster for Beit Avi (2008). Today, the border suffuses the whole nation. 12 12 See Tanvi Misra, “Mapping the Massive U.S. ‘Border Zone,’” CityLab, May 14, 2018 and this data and visualization of the territory and infrastructure of ICE’s financial regime in the USA. The U.S. border zone is one hundred miles wide, encompassing all of Michigan, Washington D.C., and much of Pennsylvania; 65.3% of the entire U.S. population and 75% of the Latinx population lives within a de facto checkpoint zone. This month, 12,800 children were detained in federal custody, compared to the detention of 2,400 children in May 2017; these numbers show every sign of increasing, as the military prepares to fill a single new detention center with 47,000 people. 13 13 See Leslie Brinkley, “Navy Plans to Build a Migrant Detention Camp in Concord for 47,000 People,” ABC News, June 22, 2018; Julia Ainsley, “U.S. has Nearly 3,000 Separated Migrant Kids, Will USe DNA to Find Parents,” NBC News, July 5, 2018; Grace Segers, “Feds Holding 12,800 Migrant Children in Detention Centers, Report Says,” CBS News, September 12, 2018; Swathi Shanmugasundaram, “Acting ICE Director Attends Annual Media Event of Anti-Immigrant Hate Group FAIR,” Southern Poverty Law Center, September 12, 2018. Hundreds of children have remained in detention for months after the deportation of their parents. 14 14 Amanda Michelle Gomez, “More than 400 Migrant Children Still Separated from Families in Slow-moving Reunification Process,” ThinkProgress, September 7, 2018. The scale of need is overwhelming. 15 15 An example of this historical repetition is also found in the Dept of Homeland Security’s slogan “We Must Secure the Border and Build the Wall to Make America Safe Again,” which copies nearly word-for-word the “fourteen words.” See https://www.dhs.gov/news/2018/02/15/we-must-secure-border-and-build-wall-make-america-safe-again and https://www.adl.org/education/references/hate-symbols/14-words As Moyshe Leyb Halpern wrote of anti-Black pogroms in the South: “Bay undz in land iz oykh epes do”: There is something here near us, too. 16 16 Moyshe Leyb Halpern, “Salute,” trans. Barbara Harshav and Benjamin Harshav in American Yiddish Poetry: A Bilingual Anthology. (University of California Press, 1986), 430-433. Academics have been called upon to bring their research to serve this moment, as Chanda Prescod-Weinstein writes: “we need to see that there is a spacetime beyond watching our nightmares come to life.” 17 17Chanda Prescod-Weinstein on Twitter, June 27, 2018. I propose that Yiddish border literature might offer us not only historical lessons, but visions. In their clamorous, discordant voices, the Yiddish poets and novelists open a literary “spacetime” beyond the nightmarish present, giving us much to think with. After teaching this course, I worked a few shifts with the refugee aid group Utopia 56 in the heavily-militarized ports and periphery of Paris, where families from Somalia, Yemen, Afghanistan, Algeria, and elsewhere gather far from the glittering center of the city. Absent state housing or UN-sponsored camps, networks coordinated by Snapchat sprung up to house asylum seekers in the homes of volunteers. 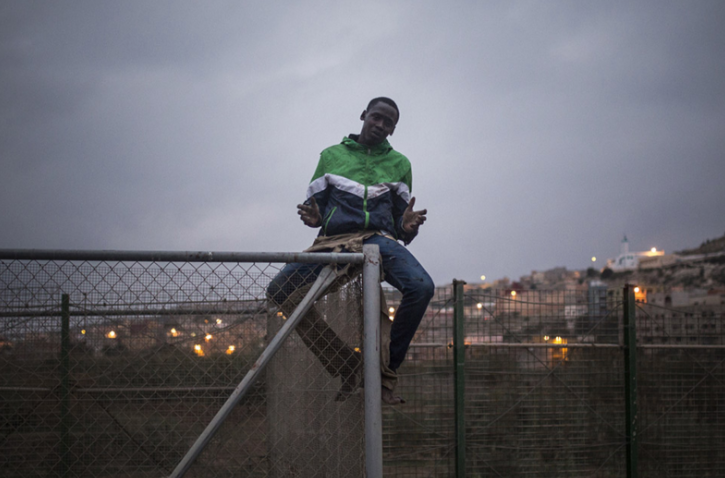 Among these activists are asylum-seekers who had arrived earlier and French and English-born students who spent their summer months volunteering in the northern port city of Calais’ sprawling self-built camp called the Jungle. Displayed in the window of Utopia 56’s distribution van was a handmade sign declaring “I <3 HERROU,” a tribute to the activist and olive farmer Cédric Herrou who assisted 250 migrants cross the southern French border. The criminalization of movement in one country immediately impacts others: tightening policies in Germany and Italy increase the flow of migration to France, where the right-wing has taken up U.S. symbols and such as waving Confederate flags at anti-immigrant protests. But against this escalation, activists show up every night in Paris parks to accompany refugees to the homes of volunteers, navigating the Metro and shielding them from intimidating port soldiers and undercover cops who searched our bags. In the park, that elegantly landscaped site of interminable waiting, rambunctious bambinos scrambled beaming across our laps and trampled our feet with soccer balls. We talked about the World Cup and compared theologies, trying to stretch our dialects into something mutually intelligible; when that failed, gesture and touch and buying each other snacks had to suffice. The urgent hospitality among those sleeping rough and living close to the bone goes unseen at the center of the city. The boisterous comraderie felt along the périphérique is textured by the knowledge that all we can offer is not nearly enough. Az s’frilingen kinder fun land iber land? Tsi loyft zey antkegn aleyn nit di erd? אַז ס׳פֿרילינגען קינדער פֿון לאַנד איבער לאַנד? צו לױפֿט זײ אַנטקעגן אַלײן ניט די ערד? when children are springing from land to land? if the earth rushes to meet them? 18 18 Peretz Markish, Der fertsikyeriker man (The Forty-Year-Old Man). Tel Aviv: I. L. Peretz Publishing House, 1978, Poem 9 of Book Two, p. 81, trans. Anna Torres. For more on Der fertsikyeriker man, see forthcoming article by this author, “The Horizon Blossoms and the Borders Vanish: Peretz Markish and Anarchist Diasporism” in Jewish Quarterly Review, winter 2018. The title salutes Cecilia Vicuña, whose work examines the poetics of etymology. Her essay, "Language is a Migrant," can be found here. See Dodson's essay about her translation, "Understanding is the Proof of Error," in The Believer, Issue 119, July 11, 2018. Chanda Prescod-Weinstein on Twitter, June 27, 2018. Moyshe Leyb Halpern, “Salute,” trans. Barbara Harshav and Benjamin Harshav in American Yiddish Poetry: A Bilingual Anthology. (University of California Press, 1986), 430-433. Amanda Michelle Gomez, "More than 400 Migrant Children Still Separated from Families in Slow-moving Reunification Process," ThinkProgress, September 7, 2018. See Leslie Brinkley, "Navy Plans to Build a Migrant Detention Camp in Concord for 47,000 People," ABC News, June 22, 2018; Julia Ainsley, "U.S. has Nearly 3,000 Separated Migrant Kids, Will USe DNA to Find Parents," NBC News, July 5, 2018; Grace Segers, "Feds Holding 12,800 Migrant Children in Detention Centers, Report Says," CBS News, September 12, 2018; Swathi Shanmugasundaram, "Acting ICE Director Attends Annual Media Event of Anti-Immigrant Hate Group FAIR," Southern Poverty Law Center, September 12, 2018. See Tanvi Misra, "Mapping the Massive U.S. 'Border Zone,'" CityLab, May 14, 2018 and this data and visualization of the territory and infrastructure of ICE’s financial regime in the USA. Two macaronic poems by Irena Klepfisz may be read here. Whereas much contemporary critical Black diaspora theory starts from Paul Gilroy’s heuristic of the Black Atlantic, which centers a masculine narrative of mobility and modernity, I center the stillness, entrapment and tradition often imposed on the bodies and labor of Black women with the counter-heuristic the Black Feminine Domestic. Whereas Gilroy emphasizes a fluid geography, over which men and ideas move, it is the actual bodily fluids, blood, sweat and embryonic fluids that ground what I call the discourse of the Black feminine domestic in a violent economy. Gumbs, ‘The Black Feminine Domestic: A Counter-Heuristic Exercise in Falling Apart'. Symbiosis 13.2 (October 2009). Despite her own claims (and her inclusion in encyclopedias of Jewish women), there does not seem to be any historical evidence that Kahlo’s ancestry was Jewish. Rachel Katznelson, "Language Insomnia," trans. Barbara Harshav in Language in Time of Revolution, ed. Benjamin Harshav (University of California Press, 1993), p. 187. For an introduction to the concept of the eruv, see this article from My Jewish Learning. For an accessible introduction to his work, see this interview with Thomas Nail. Gloria Anzaldúa, Borderlands/ La Frontera: The New Mestiza (1999), p. 25. 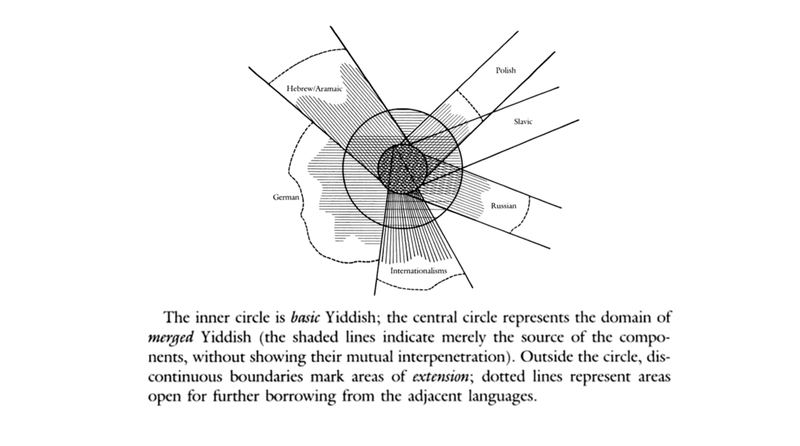 Max Weinreich, History of the Yiddish Language (Yale University Press, 2008), p.146. Translation by Asya Vaisman Schulman, published in Words Without Borders, September 2016. The original was published in Unzer bukh IV (Sept-Oct. 1929), p4. Republished in Yidishtaytshn (Warsaw: H. Bzshoza, 1937). Peretz Markish, Der fertsikyeriker man (The Forty-Year-Old Man). Tel Aviv: I. L. Peretz Publishing House, 1978, Poem 9 of Book Two, p. 81, trans. Anna Torres. For more on Der fertsikyeriker man, see forthcoming article by this author, "The Horizon Blossoms and the Borders Vanish: Peretz Markish and Anarchist Diasporism" in Jewish Quarterly Review, winter 2018. Torres, Anna Elena. 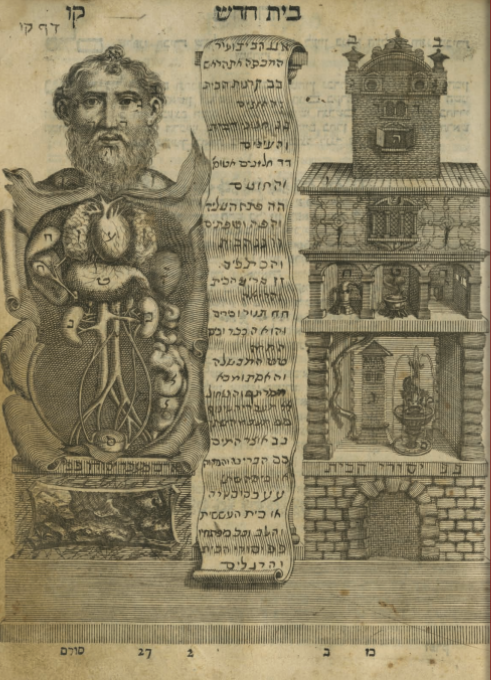 “Stealing the Border: A Reflection on Teaching Yiddish Borderlands Literature.” In geveb, September 2018: https://ingeveb.org/pedagogy/stealing-the-border-a-reflection-on-teaching-yiddish-borderlands-literature. Torres, Anna Elena. “Stealing the Border: A Reflection on Teaching Yiddish Borderlands Literature.” In geveb (September 2018): Accessed Apr 21, 2019.